There are three main building blocks that all computer programs consist of: sequence, selection and iteration. 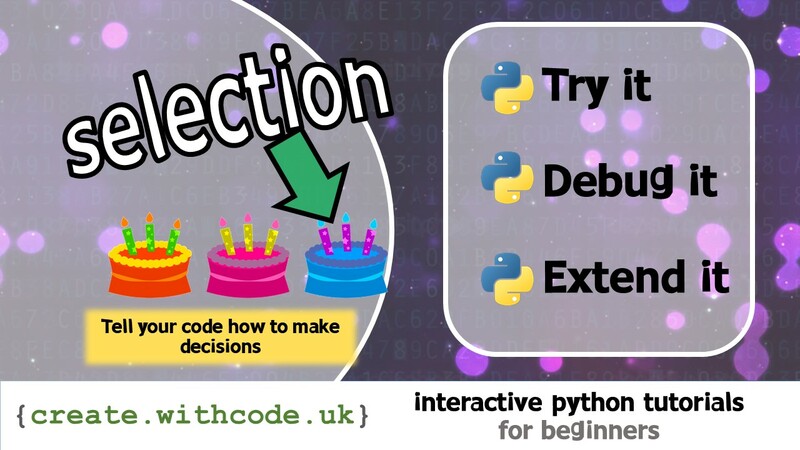 This activity is designed to help you understand and use selection in python programs. What shall I select to eat for breakfast? Which selection of clothes shall I wear? examples of selection in everyday life. Most programs need to be able to make choices too. You can write code that makes choices by using selection.